Hasher Jallal Taheb had been under investigation by the FBI. 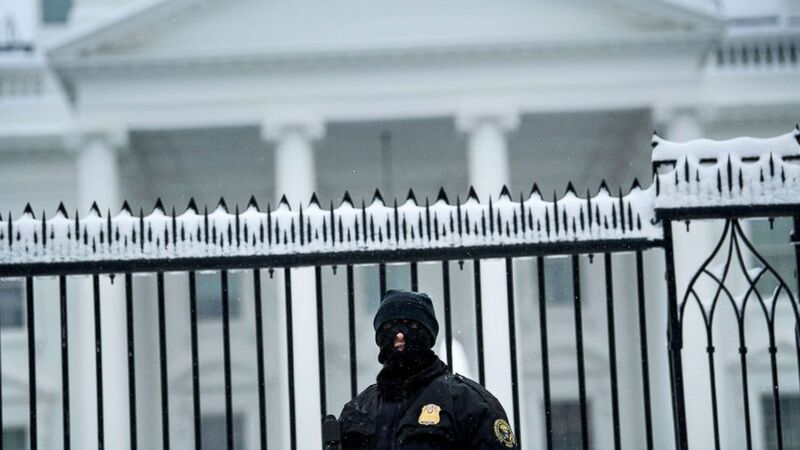 (AFP/Getty Images, FILE) A member of the Secret Service stands guard outside the White House, Jan. 13, 2019, in Washington. In a meeting with the informant and an undercover FBI agent on Dec. 2, Taheb allegedly stated that "they could do more damage" in the U.S. because abroad they would be "one of many." He also allegedly said that he wanted to be a “martyr” and cause as much damage as possible, the complaint states. "He said the group would fight to the end and make it a big bang," according to the document. 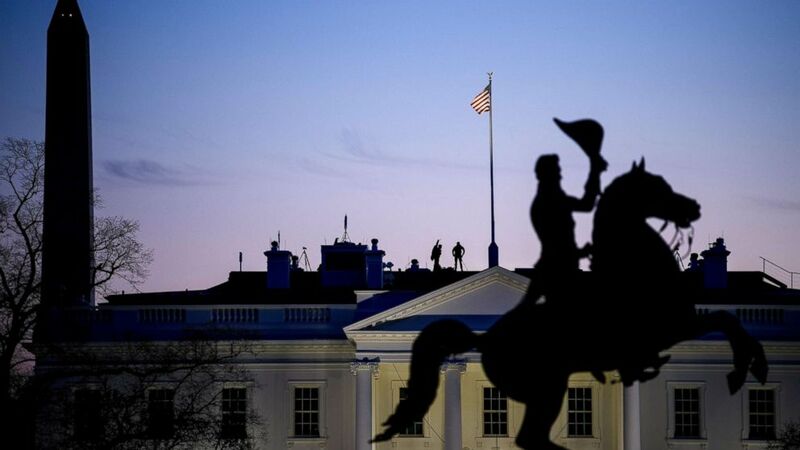 (AFP/Getty Images, FILE) Secret Service counter snipers are seen on the roof of the White House, Jan. 11, 2019, in Washington. Two days later, Taheb allegedly asked the undercover agent via text how "grocery shopping" was and offered to go with him to purchase the weapons and explosives, the complaint states. On Dec. 14, Taheb allegedly "broadened his prospective targets," indicating that he wished to attack the Washington Monument, the Lincoln Memorial and a "specific synagogue" in the Washington, D.C. area, which was not named, according to the complaint. He also discussed the need for a "base" where they could regroup and "give a speech to motivate people" and show clips of "oppressed Muslims," the document states. The next day, he allegedly uploaded a 40-page manifesto he authored to Google Docs, which stated the importance of "defensive jihad" and included justifications for "creating and leading his group to conduct violent attacks," according to the complaint. He also created a group chat with the informant and undercover agent, where he would allegedly discuss his plans to attack in the following weeks. 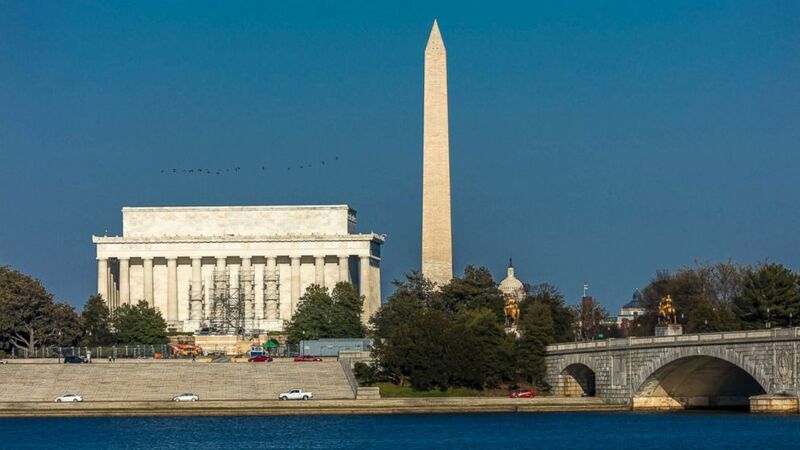 (UIG via Getty Images, FILE) The Lincoln Memorial and Washington Monument are pictured in Washington, D.C., April 9, 2018. On Saturday, Taheb allegedly met with the FBI informant, providing him with a camera, an American flag and an Israeli flag and stating that he wanted to conduct the attack on Thursday, according to the sworn affidavit. Taheb, the informant and the undercover agent met in the parking lot of a store in Buford, Georgia, on Wednesday for the "purpose of exchanging their vehicles for three semi-automatic assault rifles, three explosive devices with remote initiation and one AT-4," a single-shot smoothbore weapon," the document states. After a second confidential informant explained how to use the weapons, Taheb allegedly gave his car keys to him in exchange for them, according to the complaint.